For most consumers, car payments are a major part of their monthly expenditures. In 2015, over $1 trillion in vehicle loans were made, with the average monthly payment hovering just under $400/mo. Falling unemployment and strong job growth, combined with low interest rates and gasoline prices, are indicators that 2016 may see a continuation of the growth the past several years have seen. Our client, Whitefish Credit Union, wanted to make the most of this trend in order to continue to grow their consumer lending portfolio by offering their members strong incentives, on top of an already highly competitive rate, to choose them for their next vehicle loan. In order to accomplish this, they partnered with Grid to launch a multi-phased Q2 / Q3 campaign centered around a no-payments period, cash back incentive, and outdoor lifestyle-related giveaways. The campaign was titled “Take a Break” and Phase 1 launched at the end of May, alongside the opening of Whitefish Credit Union’s seventh branch. Memorial Day weekend is one of the strongest auto sales periods of the year – according to CBS News, in recent years seeing 1.5 – 1.6 million units sold nationwide, so it made sense to be talking about vehicle loans this time of year. The initial focus was on offering consumers no payments on new, used or refinanced auto or RV loans until September 1st. The campaign asked “What would you do with no payments all summer?” and utilized imagery and narrative to suggest road trips, vacations, relaxation, exploration and outdoor adventure (bike, hike, ride, etc). Elements of this campaign spanned traditional and digital media, starting with print, radio and digital display, later transitioning to television and highly targeted digital – including ad retargeting plus demographic-focused outlets like Pandora. As the campaign moved into mid-summer, the perceived value of “no payments until September” decreased, so we introduced a cash-back incentive to the campaign in Phase 2. In addition to breathing new life into this campaign at the midpoint, it also allowed us to broaden its reach and appeal. The initial no-payments offer was mostly aimed at Millennials and younger Generation X households (or all of Generation Y, if you prefer the Harvard Center definition over Strauss and Howe). 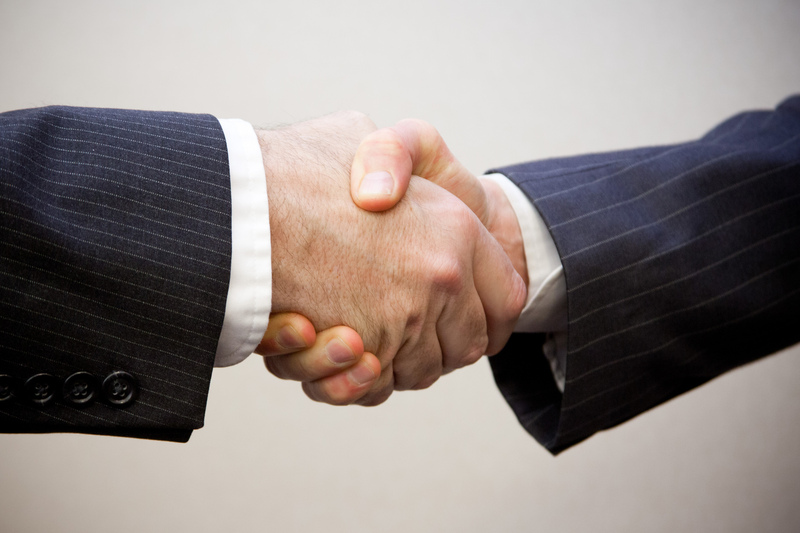 Adding this new incentive helped Take a Break gain appeal with Generation X and even younger Baby Boomers. In addition to the broad-reaching traditional and highly-targeted digital elements, a pair of direct mail pieces were sent to pre-qualified consumers encouraging them to think of Whitefish Credit Union when shopping for a vehicle, and to refinance existing auto and RV loans there, offering the cash-back incentive for each loan moved. For a consumer with, for example, a car loan with a $20,000 balance, a boat with $10,000 and RV with $30,000, this offer could put $600 in their pocket. To further the campaign’s narrative in late summer, we shifted the focus to making the most of summer and the outdoors. Grid launched the Take a Break microsite to act as a landing page for digital and social campaigns. Lobby displays were created highlighting the giveaways and furthering the message that this campaign wanted to enable members to find their own adventures. Prize packages ranged from a pair of kayaks and mountain bikes, to the ultimate backyard BBQ setup, were on display across all of the Whitefish Credit Union branches, and were showcased in advertising. “Take a Break” could mean to take time to relax with friends in the comfort of your back yard, or taking an epic trip down the Middle Fork of the Flathead River. 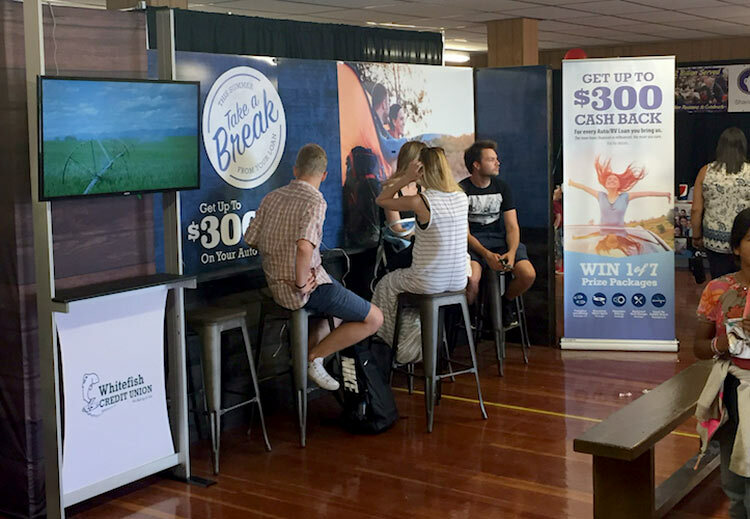 In addition to the branch lobbies, Grid helped create a “Take a Break Lounge” at the Northwest Montana Fair & Rodeo – a place where members and non-members alike could get off their feet, charge their phones or tablets, and win cash and prizes. In addition to the seating and complimentary charging in the lounge, it also featured a screen playing a six minute brand video. We can confidently say this campaign was a resounding success, with our client seeing unprecedented growth in the number of loans originated compared to previous years. 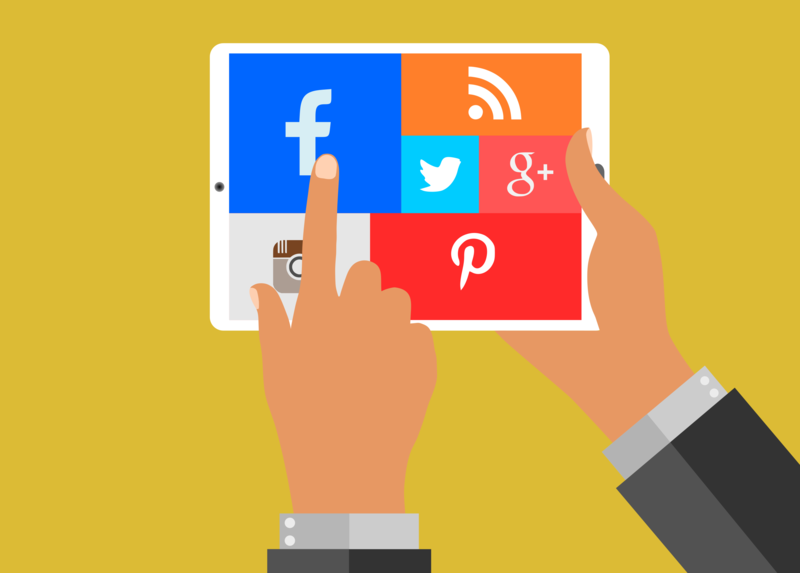 This type of multi-channel, highly targeted marketing approach can be effective for most consumer products and services, if planned carefully, executed thoughtfully, and properly tracked. If you’d like information on how a campaign like this could promote your businesses products or services, get in touch!